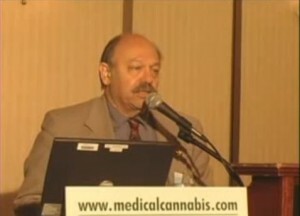 Speaking to 2004 Cannabis Therapeutics Conference, David Bearman,MD postulates reasons for ample anecdotal evidence that marijuana works for attention deficit and hyperactivity disorders. "Cannabis slows sensory input via synaptic inhibition. ", citing role of cannabinoids in neurotransmitter balance.